Dead Frog Brewery will have the opportunity of a lifetime next week on CBC’s The Big Decision. From the producer of Dragons’ Den, The Big Decision is a new reality show featuring companies looking for an influx of cash from Canadian Business leaders. 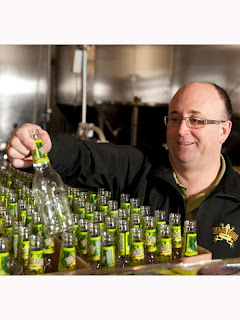 Dead Frog Brewery endured in-depth scrutiny for the chance to have Boston Pizza entrepreneurial icon Jim Treliving invest in the company. Craft beer has been steadily increasing in popularity in Canada but many craft breweries strive to generate the adequate awareness and funds necessary to grow substantially. If Jim decides to invest in Dead Frog it could not only mean big things for the brewery but also for craft beer as a whole. Dead Frog Brewery is an award winning craft brewery located in Aldergrove BC and is currently available in Canada from BC to Ontario. Jim Treliving can be seen on CBC on Dragons’ Den and The Big Decision. The Big Decision airs on Monday on CBC at 9:00pm. The episode featuring Dead Frog Brewery will air March 26.